Neck Pain Treatment: Diagnosis and Pain Treatment Methods. It would be nearly impossible to find an Arizonan that hasn’t experienced neck pain at some point in their lives. Most neck pain is caused by exertion, sleeping in an uncomfortable manner, a sudden movement or at work from viewing a computer screen improperly. No matter the cause of neck pain, most neck pain incidences improve and disappear with rest, better posture, light massage, ice, heat, over-the-counter pain relievers, or just with time. If your symptoms don’t improve, then it’s time to call a neck pain treatment specialist like Dr. Pannozzo of Summa Pain Treatment. Chronic or serious neck pain is different than the average, occasional neck pain episode. Chronic or long-term neck pain is much more serious, requires diagnosis and proper treatment from a qualified pain specialist. If neck pain gets worse after a few days, is accompanied by a fever, a burning, tingling or numb sensation, seek immediate medical attention. Epidural Steroid Injections. Steroids are injected into “pain” or trigger points. Steroids are drugs that reduce inflammation and can encourage healing. Massage. Manual massage is a natural, effective pain treatment for some pain patients. Massage can enhance healing, but it’s not always enough to relieve chronic neck pain. Trigger Point Injection is the pain relief treatment that targets the areas of pain with injections of anti-inflammatory steroid injections. It’s minimally invasive and can be done as an outpatient treatment. Neurostimulation Therapy. Neurostimulation involves stimulation of the spinal cord through the introduction of a low-voltage electricity to peripheral nerves. This implantable medical device helps block pain signals that your nerves naturally and automatically send to your brain. By blocking these pain signals, this pain treatment provides relief without drugs. 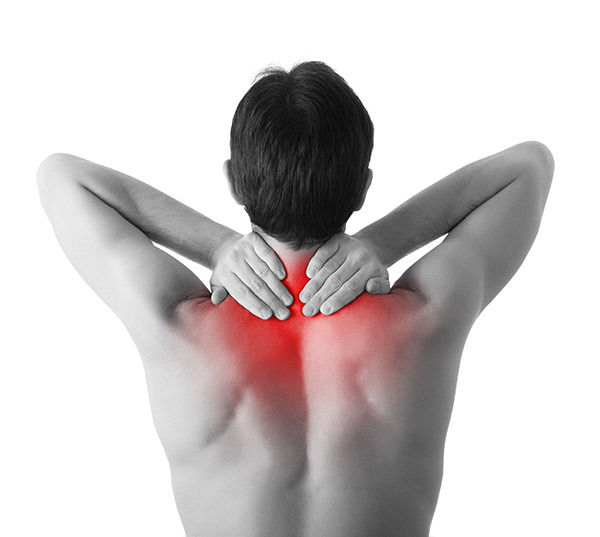 This is an outpatient pain treatment and provides reliable neck pain relief. Physical Therapy is a non-invasive, safe, drug-free option that incorporates exercise, stretching and other forms of physical exertion to help the body naturally reduce pain and accelerate healing. While physical therapy is a good pain treatment technique, it’s not always effective for every patient. Radiofrequency Ablation is a neck pain treatment option that uses electrical currents to reduce and block pain signals. The current produces heat that reduces signals from nerves. Medicines may be prescribed to treat various conditions. Muscle relaxants can be prescribed to address muscle spasms and inflammatory conditions. Prescriptions can help manage pain but are not the solution to preventing and minimizing neck pain sources.